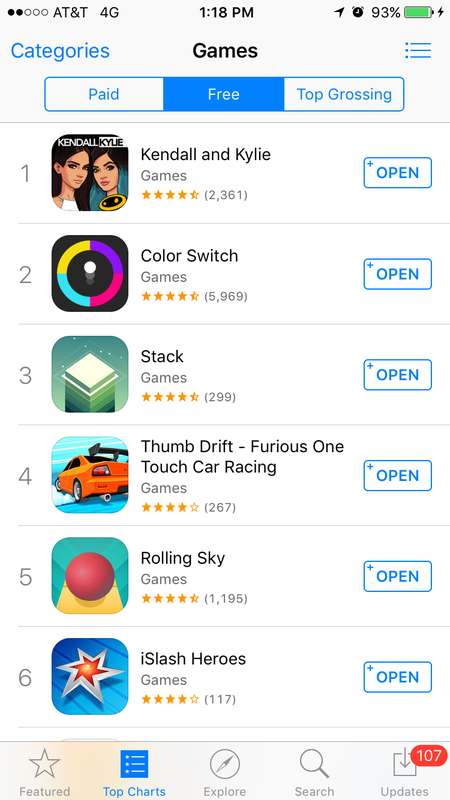 What do the top free games in the App Store have in common right now? The hottest freemium mobile apps are backed by Fyber! As of this weekend (Feb 20 – 21) we’re powering monetization for three of the top six games in the App Store. That includes Glu with Kendall and Kylie, Duello with iSlash and Fortafy Games with Color Switch. Great freemium games need a mobile monetization partner that can deliver the innovative ad units, reliable technology, and dedicated account support to fuel their growth. Learn how Fyber can help take your earning potential to the next level in our E-book — or by reaching out to our developer relations team at [email protected].